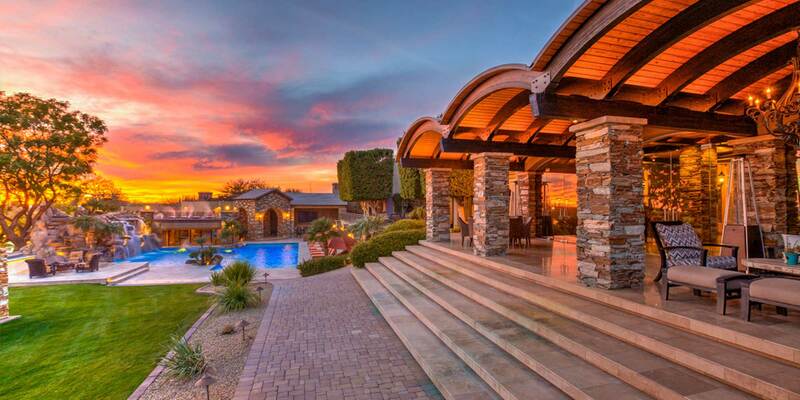 HolidayRental.com features luxury vacation home rentals in Scottsdale, Paradise Valley, and Phoenix, Arizona. The company prides itself in providing the best homes to rent with the best experience to match, and ensures its properties meet every guest’s need, whim, and desire. Servicing and maintaining the level of luxury that HolidayRental.com guests expected required additional resources. HolidayRental.com had limited visibility into the completion, quality, and timeliness of its property care, which led to last-minute adjustments prior to guest check-in. Breezeway provided HolidayRental.com the platform it needed to drive more insight and visibility into its property care and rental operations. Equipped with Breezeway's mobile app, field staff gained a valuable tool to reliably perform quality work at each luxury vacation rental. HolidayRental.com was founded in 2010 with one driving principle – to always put the guest first. The company emphasizes the quality over the quantity of its inventory, and offers amenities like personalized check-in, daily maid service, and hotel-quality linens, towels and toiletries to ensure a VIP-level vacation experience. But all this attention and extra service came with a business cost. Servicing and maintaining this level of luxury was a challenge, and required very high compliance and strict operational flows across three core aspects of property care: housekeeping, inspection, and maintenance. One of these issues involved the temperature of HolidayRental.com’s swimming pools. Many of the company’s guests pay additional money for heated pools. As you can imagine, this ­­means guests expect a certain level of comfort and temperature when they dive in. The mobile app that field staff used to inspect pool temperatures crashed frequently and couldn’t be used without WiFi or cell service. The process would break down, and a handful of inspections at properties simply wouldn’t get recorded – a result frequently felt in the chilly waters of the pool. When Drew implemented Breezeway’s property operations platform in February of 2018, he immediately experienced the benefits. The software’s property dashboard synced with Streamline’s reservation management software, which allows Drew to ensure that scheduling and completing property care tasks are done accurately. “We’ve seen some big efficiency gains with Breezeway. Our staff uses Breezeway to complete tasks, report detailed issues, and push work orders back into Streamline. This improved workflow, coupled with data I export from Breezeway, has helped us save time, burn less money, and keep our guests and owners happy." In fact, Breezeway’s mobile app, which works on iOS and Android devices, doesn’t require WiFi or cell service, which helped Drew’s team ensure that pools are inspected and dialed up for right guests. Leveraging Breezeway’s customized inspection checklists, daily tasks now require staff to stick a thermometer into each pool, and then upload a photo of the temperature through the Breezeway app. Management can see this data sync into the Breezeway dashboard in real-time, helping the company confirm property-readiness, and ensure any issues are addressed prior to guest arrival. For additional quality control, HolidayRental.com completes a property inspection before and after each clean. Not only can staff easily document the make, model and serial numbers of each appliance across every property, but they can store this data with pictures, condition reports, and prior maintenance history within Breezeway. Drew remains excited about the predictive components of Breezeway’s technology, and plans to use these rich property profiles to drive more efficiencies for HolidayRental.com.